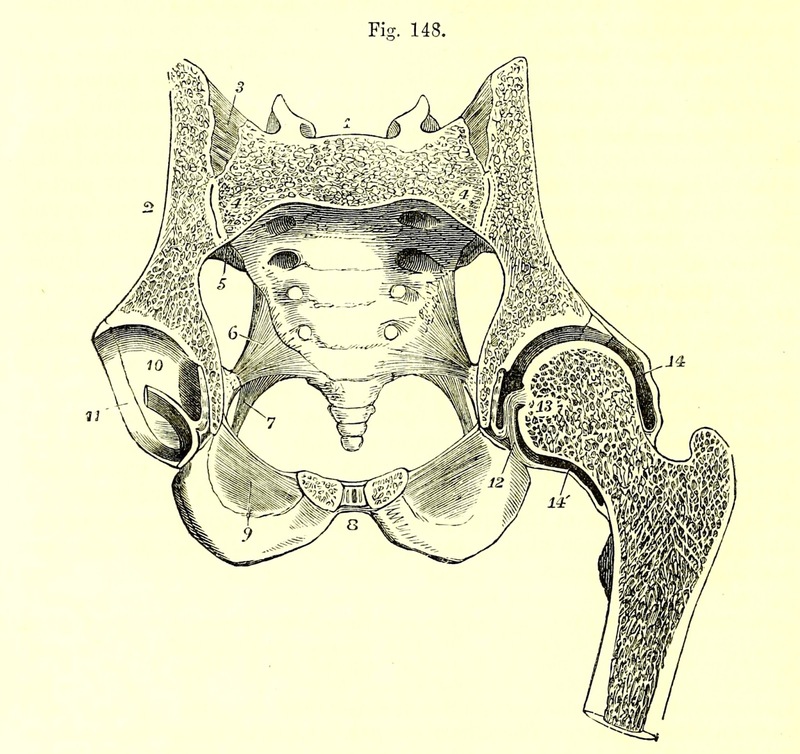 A diagram of a transverse oblique section of the pelvis and hip-joint, cutting the first sacral vertebra and the symphysis pubis in their middle, from a male subject of about nineteen years of age. From HERE. Note the distinctive trabecula structure of the interior of the head of the femur.